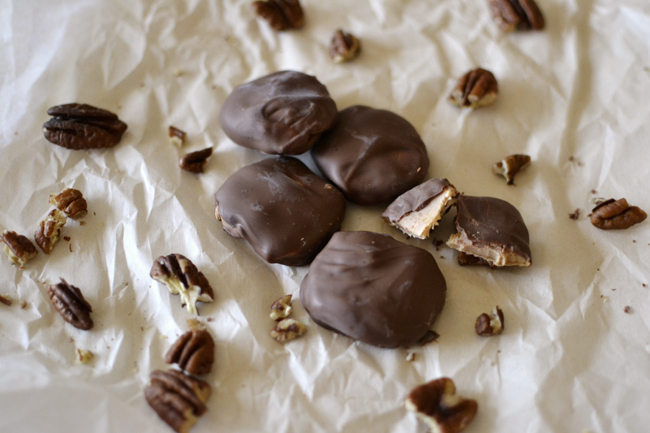 Homemade turtles have, in the last couple years, crept into our list of annual holiday baking. 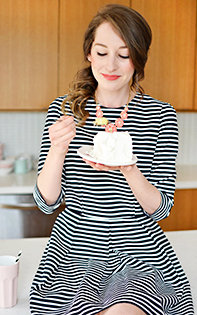 They are probably one of the most easiest things to make but always seem to impress guests and gift-receivers. My family found this recipe in an elementary school cookbook we picked up at a church rummage sale way back when - the best recipes always seem to come from the most unlikely of places (seen here too). Melt chocolate in a double boiler. 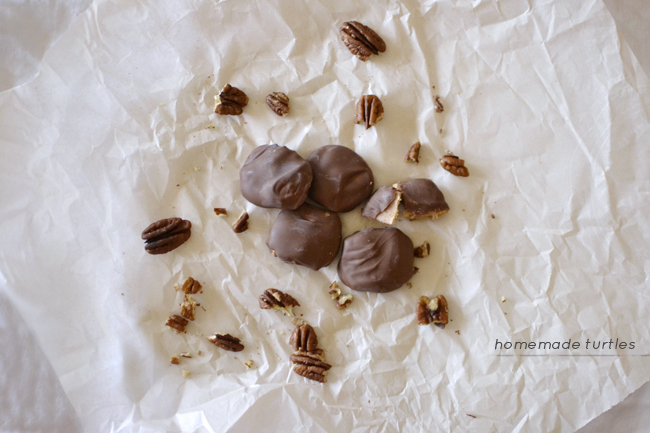 On a microwave-safe plate, place two pecans side by side and place one caramel on top. Continue this for as many as you would like. Microwave for 30 seconds or until caramel is soft, not melted. Mold caramel around the two pecans. Using two forks, dip each caramel into melted chocolate and place onto wax paper to cool. You can really cater how much of each ingredient you need based on how many turtles you plan on making.